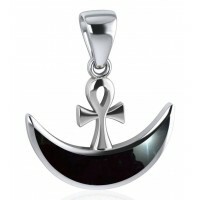 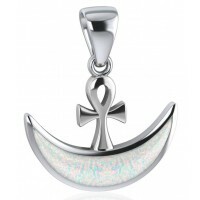 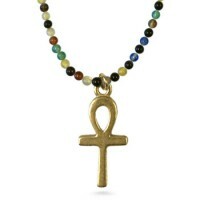 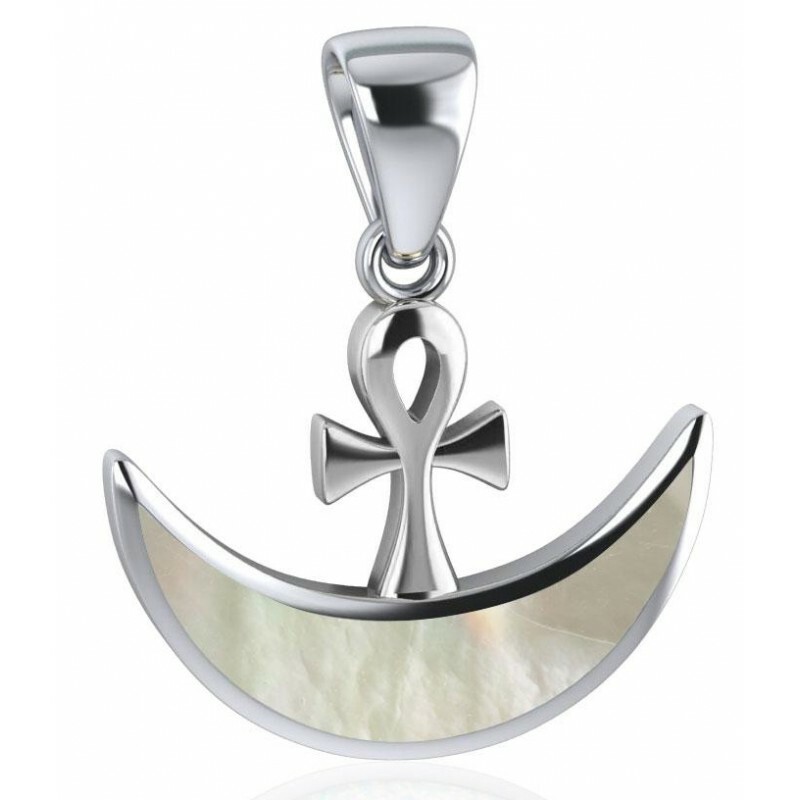 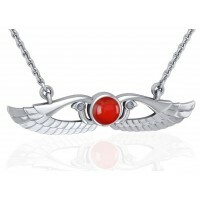 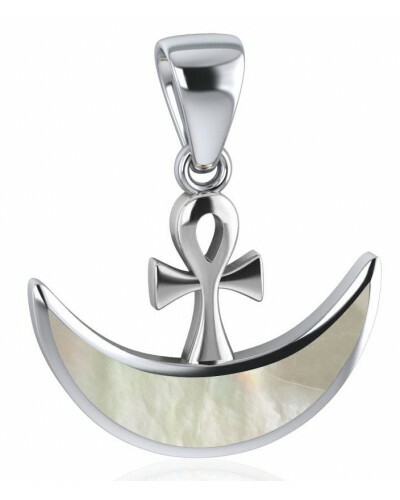 The Ankh, a symbol of eternal life from Ancient Egypt, sits on an inlaid Mother of Pearl crescent moon in the finest sterling silver. 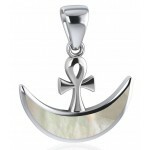 This stunning pendant features a Mother of Pearl inlaid gemstone in the crescent moon. 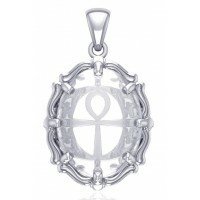 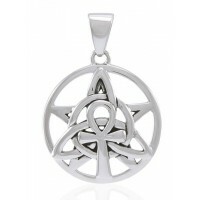 Pendant measures .94 inches wide an .62 inches high with attached bail (chain not included). Item Number: PS-TPD4955-MP | Approximate Size (Inches): 0.94 wide x 0.05 deep x 0.62 high | Approximate Shipping Weight: 0.25 lbs.